I am taking a lot of pictures. This is one of them, I really like. 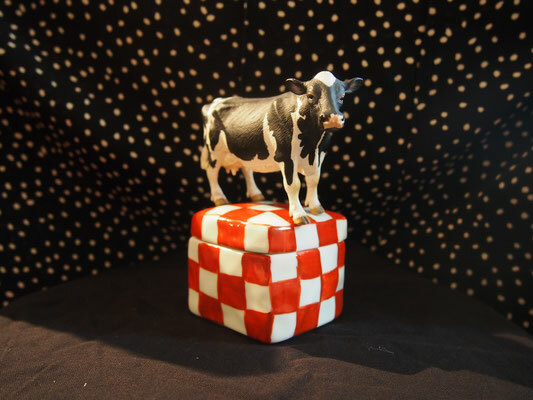 The cow came from up stairs, the box is from Japan, background is miss Deborah's skirt!